BIG fields and some of the top names in horseracing will be in abundance at Ayr Racecourse today (Friday 17 April) for the opening day of the Coral Scottish Grand National Festival. Horses from all over the UK and Ireland will be competing in the seven race card, including runners from the leading stables of Nicky Henderson, Alan King, Jonjo O’Neill, Sue Smith and Nigel Twiston-Davies. The highlight is the £40,000 Hillhouse Quarry Handicap Chase, a Listed Race, which has a field of 13 including Alan King’s Hollow Penny, Brave Spartacus from the Keith Reveley yard and Brian Ellison’s Conquisto. 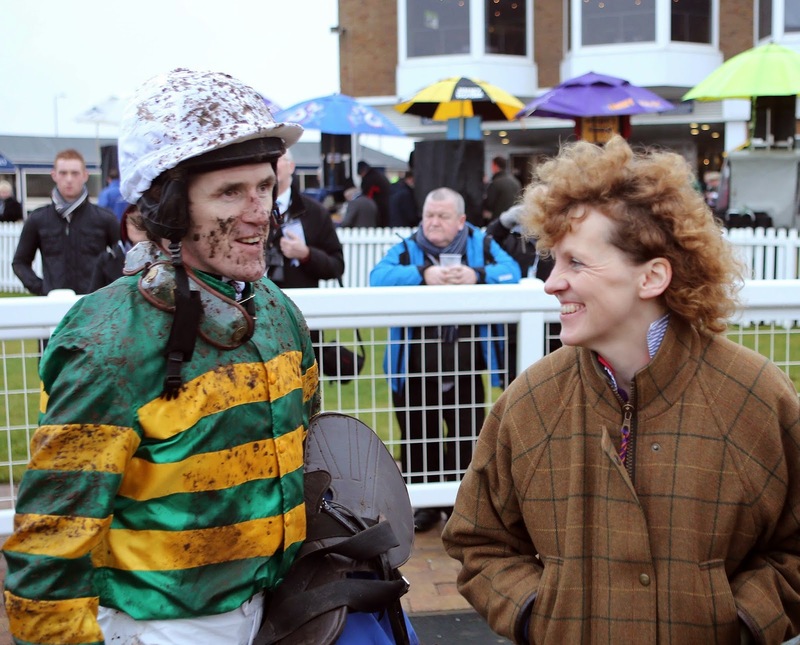 Nicky Richard, who has a great record at the track, saddles Sir Vinski, the mount of Brian Harding in the Abbott Risk Consulting Novices’ Handicap Hurdle, while AP McCoy, just eight days away from retiring has three mounts during the afternoon, including Tap Night (pictured above) in the Hillhouse Quarry Chase in the famous JP McManus colours. McCoy also features among the 30 riders in Saturday’s £210,000 Coral Scottish Grand National when he takes the mount on Paul Nicholls Benvolio. Last year’s winner Al Co is also a runner with young Sean Bowen in the saddle, and Tom Scudamore rides Broadway Buffalo for David Pipe. Club badges for Saturday have sold out in advance for the first time in the history of the race. The ‘sold out’ signs for club were put up late on Tuesday night, although Grandstand tickets are still available, but racecourse bosses are urging these are either booked in advance or people turn up early on the day. Crowd capacity on the day will be 16,500. The opening day of the two day Coral Scottish Grand National meeting still has Club and Grandstand tickets available although hospitality on both days is sold out. Ayr Racecourse managing director David Brown said: “We are gearing up for two extremely busy days, and everything is indicating a massive crowd of 16,500 on Saturday. “To sell out club for the first time in advance is tremendous and shows just how popular this meeting is. Hospitality has also been sold out for both days for quite some time. Ayr have upgraded some facilities ahead of the meeting by installing a new purpose built Paddock Lawn Marquee, a permanent structure, and creating new toilet facilities in the Chancellor Hospitality Restaurant on the first floor of the Princess Royal Stand. The Coral Scottish Grand National Festival takes place today and Saturday. There are seven races on the opening day with eight on Saturday. In total there is more than £580,000 in prize-money.